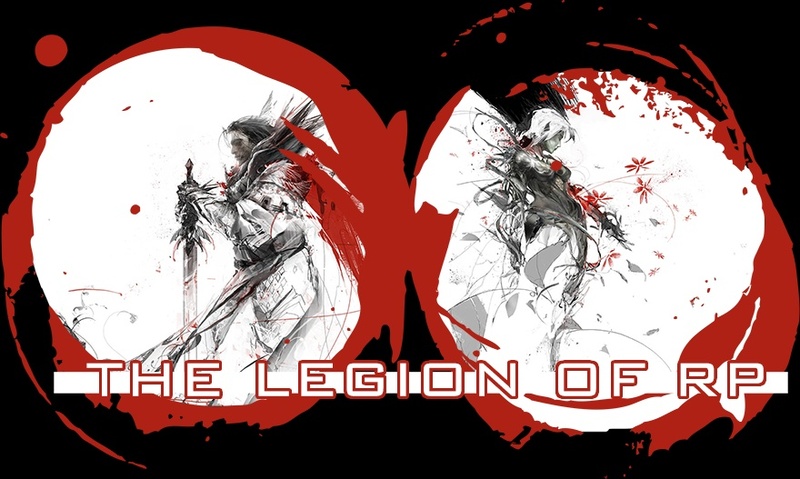 I'm a co-admin on of this place, and Creator of "The Legion" Role Play; I am Also the District One Leader of that Role Play. After several failed attempts at creating it on various other places, I finally decided to bring the idea here and make it for all to enjoy as a forum. I hand picked the staff on this site who are close friends of mine and competent Role Players who have created several Role Play based groups of their own or have partaken as Co-Admins in them. Well, it means I simply partake in gaming every now and then, but don't go too heavily into it. I'm mainly into RPG, MMORPG, and FPS type of games. I also enjoy dueling, not as much as I used to, but I do still have my Yu-Gi-Oh dueling deck, and still collect the cards as a fun pass time. I believe that Zexel ruined Yu-Gi-Oh though...but that's my personal opinion. I'm into both Manga's and Comics; and their anime and cartoon counterparts. I also enjoy a good book, mainly one with a mythical or fictional tone to it. These few things have helped me keep sane in life, and I see them as a pleasant pass time. I work in a Job I hate, so I never get to into it. I'm majoring for Bio-Technology in College, but I am debating about changing it to Graphic Design...doubt I will; at least not any time soon. Not much to tell aside from that. I'm straight edge and have a diverse sense of music, although I don't really like Hip-Hop or Rap. My screen name actually has a funny story behind it. I was actually trying to spell Sawyer way back when on a site called Mobamingle, but as you can see I failed. The name stuck with me though, and it is what I am known as now, so on whatever site I go to RP I usually keep it. I tried to emulate the name after the "Lost" character James Ford who went by the moniker Sawyer. The creation of this place came as an idea after I realized that me and my peeps had to constantly migrate from site to site just to have a place to call "home". It all started with the creation of MobaMingle 6 (?) years ago. It was a social site for phones in which people just talked and mingled about anything they wanted. I especially remember their avatars and how fun it was attiring them. Anyways there is where I began Role Playing, and there is where I met the Legion Staff you see here today. But the fun soon ended and the site closed down. We Minglers migrated to a site called Mogamee, well some went to a site called Mobion, but most went to Mogamee...and the rest vanished. Mogamee wasn't as exciting as Mobamingle, but it was a site in which we all stayed friends and Role Played. Also, our arrival was met with joy, we had a warm welcome from the few who where on the site. Funny story is when Mobamingle closed down all us misplaced Minglers flooded the site. We did so in such numbers the site was literally out for THREE days. Well, truth is we tried to Role Play there, but it had too many problems. As time passed glitches or whatever people called them became known by all. This disenabled us from having too much fun, because whatever RP group members tired to create, other members would just ruin. And members soon began reading one another's mm(mini-mail) which meant no privacy for anyone.... Blogging always was fun though; but soon, that site too closed down. It wasn't really much, but it was something we people began to call home. Soon we where forced to migrate once more, but this time to a crap site called Mobion. I remember our arrival was met with apprehension, and funny thing is we Moga members probably outnumber the Mobion Members or we knew most of them from Mobamingle...so the "haters" soon got outnumbered and the Minglers took over a site once more. There is NOTHING of value there though. Groups get "hacked" constantly; most groups are groups in which members are just cybering in. Members get hacked too, blogging isn't much fun and even writing on someones wall can be ruined. Crap avatars, and even your mm can get read by members, and not to mention the wannabe trolls and constant "status drama"..sad I guess. People leaving left and right. Anyways, upon seeing that I decided on this; a site where all are welcome: a forum. One with no trolls, freedom of speech yet privacy, a place where both bloggers and Role Players are welcome; a place with people looking to simply chat or to simply make friends. A place where Role Players of all levels can Role Play. A place for ALL people to call home I guess. Yes. This was the struggle. Lol I had to squint.